Why keep searching all of the car dealerships in Watertown WI for a selection of a Chevrolet Silverado for sale near me that meets your needs? We have a Chevrolet Silverado for sale near you that is sure to satisfy your day to day needs at Ewald Chevrolet Buick near car dealerships in Watertown WI. Ewald’s car dealerships near Watertown WI has an incredible inventory selection of Chevy trucks for sale. Including Chevy 4x4 trucks for sale trucks. From a Chevy Silverado Z71 for sale to a High Country, we have the Chevrolet truck with the options you want at Ewald Chevrolet Buick. 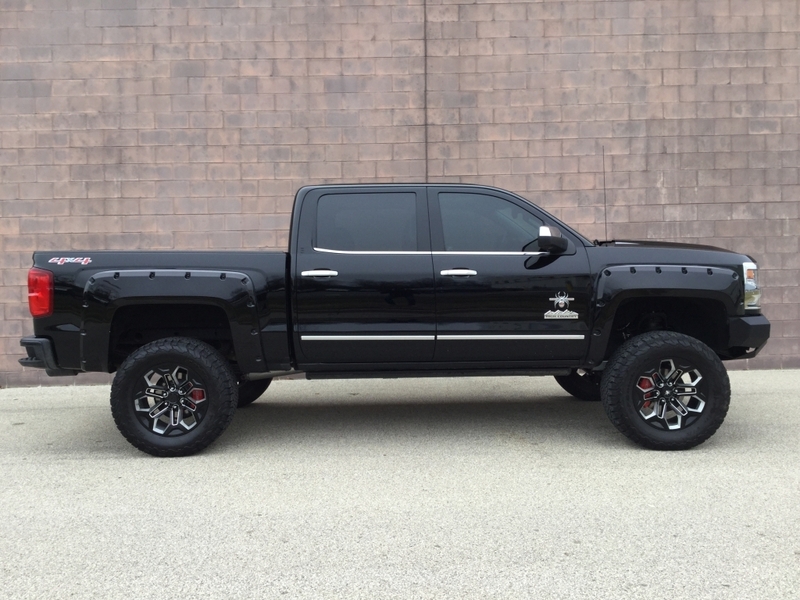 When you want to find the perfect Chevrolet Silverado for sale near you, like a Chevy Silverado Z71 for sale, ask your Chevy truck expert at Ewald Chevrolet Buick near car dealerships in Watertown WI to show you what we have to offer. We offer an abundant selection of new and used Chevy trucks for sale.With a Chevrolet Silverado for sale near you, how can you possibly go wrong? Easily find a Chevrolet Silverado for sale near me that you would love to drive home at Ewald Chevrolet Buick. Come out to Ewald’s near car dealerships in Watertown WI to find yours today. Chevy 4x4 trucks for sale have the strength and power for working hard. The Chevrolet Silverado truck for sale near you is made to do quality work with the strength and precision you need. If you are looking for great torque and horsepower, then you should check out the Chevy 4x4 trucks for sale at Ewald Chevrolet Buick today. A Chevrolet Silverado for sale near me at car dealerships near Watertown WI just can’t be beaten. Take on the roads of Wisconsin in one of our Chevy 4x4 trucks for sale at Ewald’s near car dealerships in Watertown WI. Our Chevy truck team looks forward to and answering your questions about the Chevrolet Silverado for sale near me that you choose when you stop in Ewald Chevrolet Buick. Check out the used 2017 Chevrolet Silverado 1500 High Country for sale. This used Chevrolet Silverado for sale near you has many options to enjoy. Including heated leather seats, navigation, remote start, and more. This Chevy Silverado for sale near you is also equipped with a Black Widow package that gives this truck a unique look. Turn the heads of many in this 4x4 truck for sale. If this used Chevrolet Silverado for sale near you isn’t the truck you’re after, check out one of the other 4x4 trucks for sale at Ewald Chevrolet Buick. We have a broad selection of Chevy 4x4 trucks for sale and a wide range of prices at Ewald’s near car dealerships in Watertown WI. When it comes to buying your next new or used Chevrolet Silverado for sale near you, whether a basic 4x4 or Chevy Silverado Z71 for sale, et Ewald Chevrolet Buick near car dealerships in Watertown WI be the only stop you make. You can give us a call at (262) 226-2842 to schedule your test drive. Or, check us out in person at Ewald Chevrolet Buick located at 36833 E Wisconsin Ave in Oconomowoc WI, 53066.